Out of the 3 new Avenger bikes which was introduced during the October 27th launch, new Avenger Cruise 220 takes the prominent place. 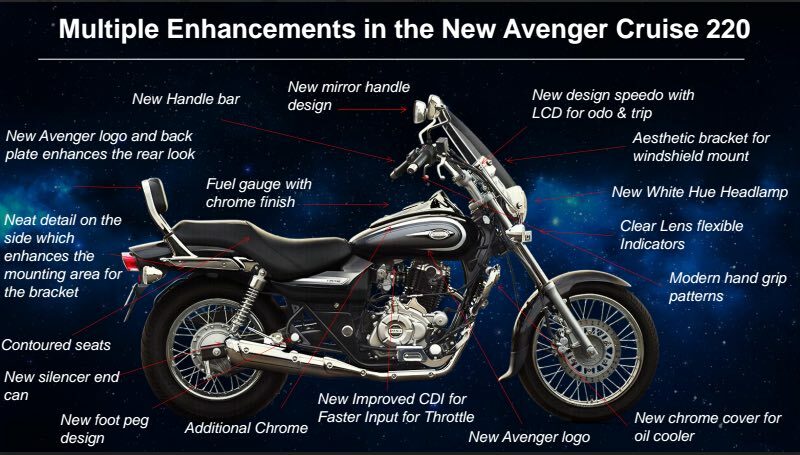 Thanks to the new radiator, Avenger 220 Cruise comes with a liberal dose of chrome highlights redesigned side grabs, stylized silencer and an all new handlebar. The bike carries multiple style enhancements and cues which add to its stunning international classic cruiser look which we have listed below. The Avenger 220 Cruise comes with comfortable padded backrest and an optional windshield for easy cruising on highways. The new Bajaj Avenger Cruise 220 has similar specifications as that of Street 220. Just like Avenger 220, even the Avenger 220 Cruise is powered by 219.9cc engine that churns out a maximum power output of 19 PS at 8400 rpm and delivers a maximum torque of 17.5 Nm @ 7000 rpm. The engine of New Avenger 220 cruise is mated to a 5-speed manual gearbox. The wheelbase of Avenger Cruise 220 is 1490mm and the length of the bike is 2177mm, measures 806 mm in width and 1142 mm in height which is more than that of Street 220. The ground clearance of Avenger Cruise 220 is 169mm. The Kerb weight of the new Avenger 220 is 155 Kgs. The front Tyre measures 90/90×17 and rear tyre measures 130/90×15. The fuel tank capacity of new Cruise 220 is 14 litres. The bike has got a pretty good braking system with 260mm Disc brake in the front and 130mm Drum brake in the rear. 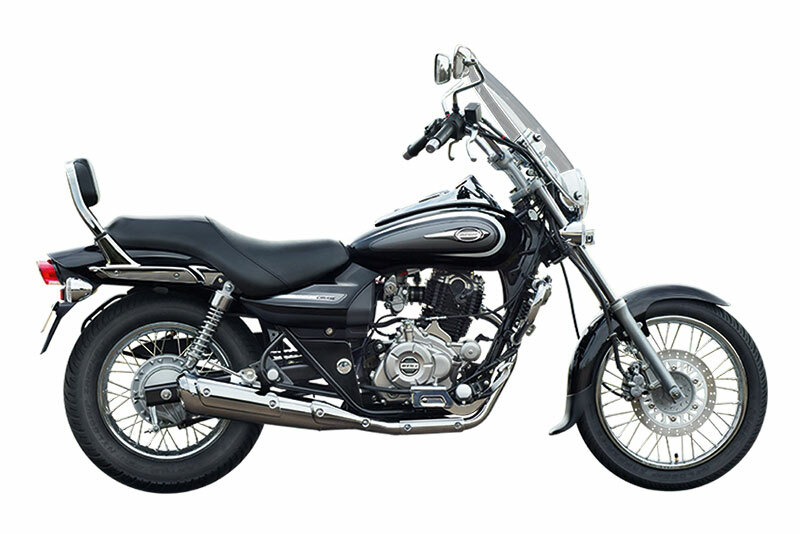 Bajaj Avenger Cruise 220 is offered in divine black color.